Tuesday evening featured perfect weather for meandering between in-season offerings at the farmers market in downtown Missoula. 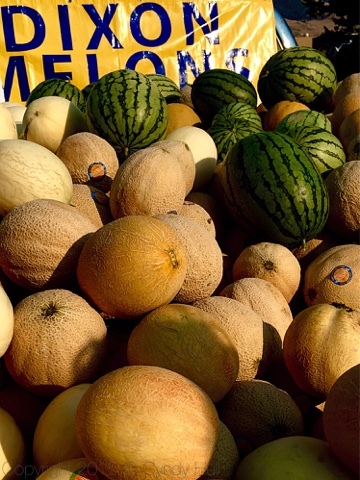 We are the lucky ones who live in the marketing region of the bounteous, beautiful, and delicious Dixon Melons, vine-ripened in a temperate growing region near Dixon, Montana. 'Tis the season, to be savoured while it lasts!